@WendysCoupons CPAP.com reserves the right to cancel or change its promotion at any time. Promotion cannot be combined with any other offer. 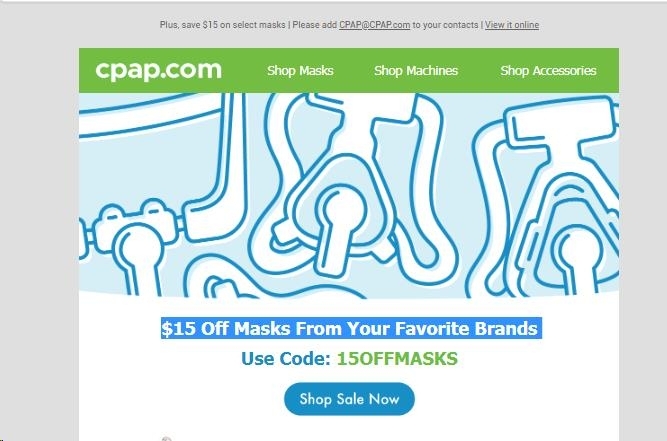 Save $15 on select masks with code 15OFFMASKS.